This article originally appeared in AGDAILY in March 2018 and was honored with a judge’s merit at the 2018 Agricultural Communicators Network awards. 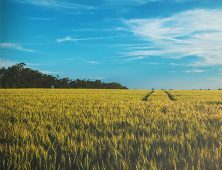 For years, discussions about the future of the agricultural industry have converged on the arbitrary yet consequential date of 2050, a point two generations from now when the global population is expected to balloon to nearly 10 billion people. If the ag industry were to stay rooted in today’s technologies and understanding of arable land, we will need to find a way to increase production by about 70 percent to feed the world. Yet agriculture is anything but stagnant. Particularly since the back half of the 20th century, technology has reshaped nearly every aspect of a farmer’s life. The general public doesn’t often share that perception, but the reality is that cutting-edge machinery, seed and crop protection, and data analysis have put a premium on scientific study to best produce and distribute food and fiber. From today’s battery-driven machines and savvy seed genetics to crops that optimize water and the potential to drive combines using virtual-reality goggles, keeping pace with population growth means building our technological infrastructure. The question is whether what’s being done is enough to support the ag industry and to keep both our world’s developed and developing nations on a path toward future food security. While activists work hard to inject antagonism into many food debates, there’s a growing belief among many ag corporations and industry associations that it will take everyone willing and able to contribute to our food supply to be able to reach our goals. We are an industry of many heroes — in the fields, the laboratories, and our roadways — but are we also creating too many perceived villains? The industry has a better chance at realizing its 2050 production goals if everyone who has a stake in production talks with one another rather than at one another. Many companies are promoting forms of this inclusivity because it makes both ethical and business sense to do so. “Sustainable” has become a 21st-century buzzword, but it has to be more than just that if agriculture wants to follow an arc of improving soil quality, resource conservation, and production growth. As much as the mainstream media and bloggers play up an enduring conflict between conventional and organic production, that perception doesn’t always play out at the ground level. 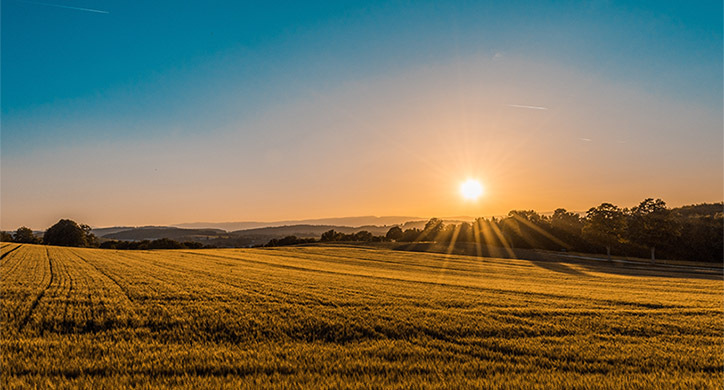 Syngenta, one of the world’s leading suppliers of crop protection, seeds, seed treatments, and digital ag systems, has many customers who farm using both types of production methods, a decision that is largely influenced by market demands and opportunity. Already, there have been crossovers in how and what producers learn from each other. Genetically engineered crops regularly lend themselves to no-till practices, something of a centerpiece to education provided by the USDA’s Natural Resources Conservation Services. In recent years, more organic producers, too, have followed suit and begun applying minimal- or no-till efforts to their land. Conversely, conventional growers are adopting the lessons learned by organic farmers’ longtime use of cover crops. In Iowa, for example, the use of cover crops recently increased by 18 percent year over year, and a 2017 Syngenta survey found that cover crops were among growers’ top interests, although the challenge of managing cover crops is something that appears to keep even more people from using them. Despite these positive steps — the education and crossover of on-farm production strategies — the exact definition of “sustainability” remains elusive (often, too, muddied by the waters of social media). 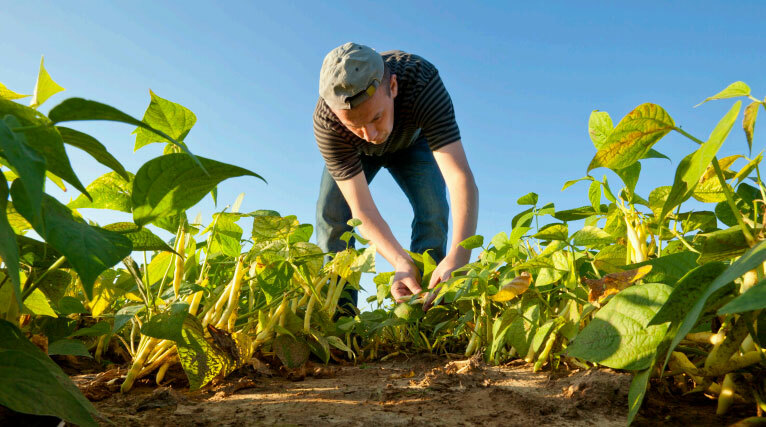 At Syngenta, sustainability centers around resource efficiency, responsible leadership, and the health and safety of people, while also being driven by the economic, environmental, and social needs of agriculture. “A huge component of sustainability for us, and for every grower, is continuous improvement,” Wheeler said. Misiewicz said that when The Organic Center talks about sustainability, it’s typically in the context of the environment — supporting natural ecosystems while simultaneously providing people with food. She said that includes supporting biodiversity, reducing water pollution, and building soil carbon. So, what is the way forward for this functioning, but occasionally inefficient and contradictory, agricultural system? It’s understood throughout agriculture that there’s no silver bullet to improve productivity, said Wallis, who grew up on a diversified crop and beef cattle farm in Missouri before landing at Bayer. In fact, many in the industry believe that, because of things like the 60 percent yield improvement seen during the shift from old-fashioned to hybrid corn, the industry has already experienced its major leaps in productivity and that, from here onward, the tactics will involve tweaking the systems already in place. 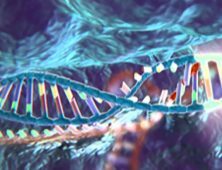 The large gains came in commodity crops thanks to use of genetic engineering in plants, the safety of which was again confirmed in a recent analysis of long-term peer-reviewed research. During the Ag Media Summit in 2016, Monsanto’s Fraley noted that all types of agriculture are needed to feed nearly 3 billion more mouths in the coming generations. 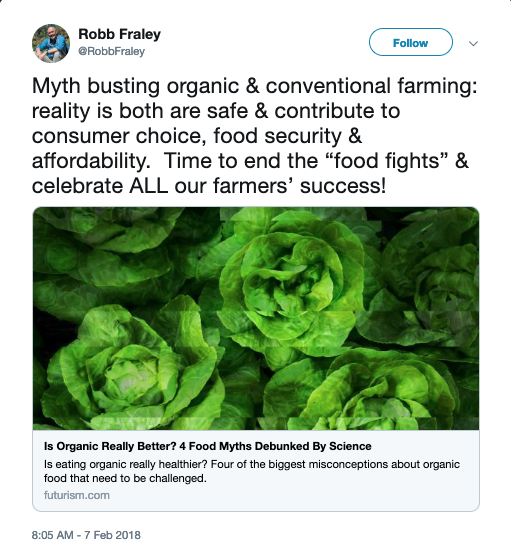 He also told a standing-room-only audience that almost all of his company’s vegetables are non-GMO, and many are grown by organic farmers, further highlighting the shared interests of conventional and organic farmers. 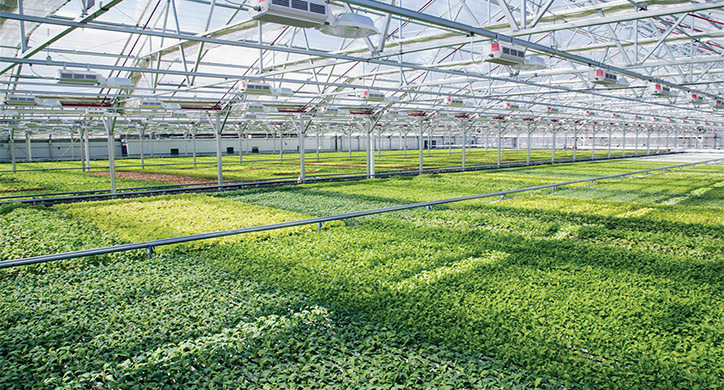 Most major agricultural companies are finding ways to connect with a broad range of growers. For example, Bayer offers crop protection that caters to orchards and vegetable fields, as well as more well-known corn- and soybean-centric products. Elsewhere, Syngenta has been growing its AgriEdge Excelsior platform and related Land.db software, its digital data-management tools that are agnostic to a grower’s production style. In 2013, Syngenta also launched its Good Growth Plan, a measurable strategy that specifically addresses the 200,000 new people that need to be fed around the world on a daily basis. The plan looks at making crops more efficient, enhancing biodiversity on 5 million hectares, reducing soil degradation on 10 million hectares, empowering those producers in developing markets operating on fewer than 5 acres, training 20 million more workers on safe food practices, and committing to fairer labor practices. These are concepts that can apply across the spectrum of growers, both in the U.S. and globally. Amid the divisive rhetoric and negativity that often infect social media discussions of agriculture, it’s curious how many more farmers would embrace a plan such as this if the name of a “big ag” company wasn’t attached to it. It seems likely that there’s more unifying growers than there is dividing them — it’s simply that the divisions are amplified in the online arena, as well as by some documentaries and other media. Farmers all need to address their bottom lines, but understanding how they fit into the greater system benefits all of agriculture. The answer is embedded somewhere in the same digital media tools that are used to vilify many farmers. Robert Saik and his son, Nick, are among agriculture’s biggest champions of biotechnology. 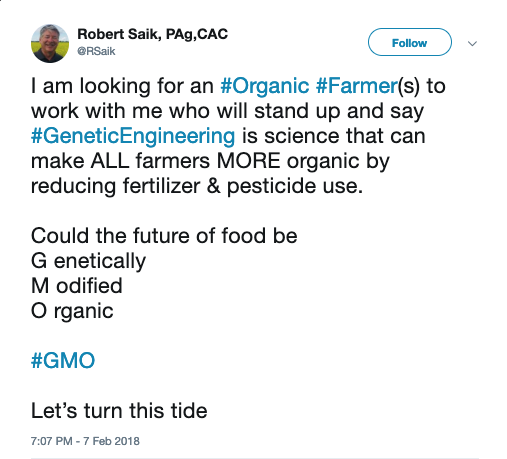 They both have done recent pushes on social media to better highlight ways that conventional and organic can be working together for the betterment of all farmers. Nick released a YouTube video examining the GMO-versus-organic discussion in an effort to point out that conventional and organic production methods aren’t as far apart as one might think. Not long afterward, his father put out a call on Twitter seeking organic growers who are open to seeing value in generic engineering, something not currently permitted by the USDA in the National Organic Program or in production from other grassroots organic-like organizations, such as Certified Naturally Grown. Getting past the talk and making innovation, technology, and stewardship hallmarks of the process — every process — is vital. The industry is already up against barriers from trade policy and other politics, global infrastructure, concerns about climate change, and research limitations in some sectors (Misiewicz said that a historical lack of organic research has contributed significantly to the yield gap in organic production when compared with conventional). The frustrating thing is this: Wheeler thinks that we are already close to the production levels we need by 2050, but the industry is largely hindered by factors that affect distribution, as well as by waste. “All of us are talking about it in a similar fashion, and it’s not just talk. It’s the ability for companies to address those needs using the different tools and the technologies we offer,” Wallis said. With a focus on soil nutrients, cover crops, organic matter, hydration, and land optimization, data-management technology has been showcased as universally beneficial for farmers who have a couple of hundred acres on up. This is where efficiency comes into play. Imaging and data analysis help farmers identify, for example, areas at pivot points in their fields that are underperforming. Sometimes inputs can be adjusted. Other times, farmers have opted to convert such space to pollinator or wildlife habitat or to put it into the Conservation Reserve Program. These data-management opportunities have ag corporations ushering in new partnerships to improve land quality. Syngenta has worked with The Nature Conservancy on multiple occasions on projects such as addressing soil compaction from a pipeline installation on an Illinois farm and in using the AgriEdge platform in Saginaw, Michigan, to provide metrics on nutrient efficiency in the land. “It’s that kind of thinking, of how we can work together and start testing some of these processes and seeing what happens, and what can help our farmers for the future,” Wheeler said. Despite the excitement about harnessing data, things moved slowly in the industry for a long time, even among its Millennials. Only in recent years has adoption of data management accelerated, and there’s much more automation to data uploading than there was even a few years ago. 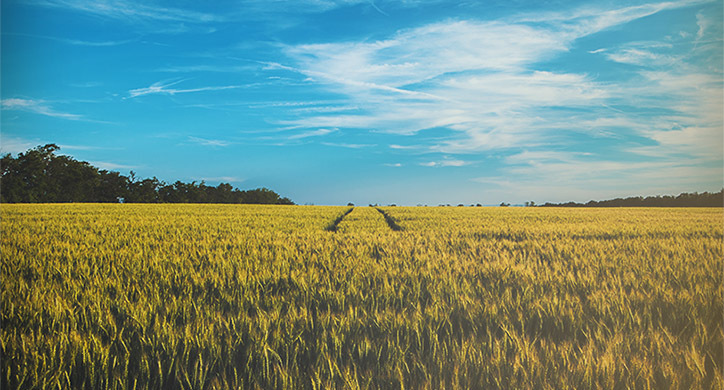 Technology-focused agricultural companies are used to looking ahead. 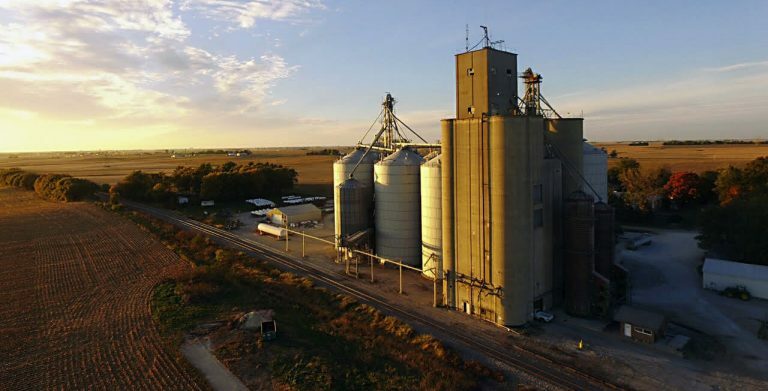 When a seed or chemical product can take anywhere from seven to 12 years to get to market, it’s imperative to anticipate the needs of the industry and plan accordingly. Easier said than done, in many instances, but the major players in the industry are succeeding. Wheeler believes that that view has gotten even clearer for Syngenta. She noted that her company’s acquisition by ChemChina means Syngenta reverts to being a private company and will be less driven by quarterly financial results. Instead, it will have the opportunity to put resources into projects that will pay dividends down the road. Misiewicz at The Organic Center keeps up to date on what little research is available in the organic sector, including analyzing how things would shake out if more land was converted to organic production. She knows that the need for arable land, and its increasing scarcity in the U.S., is a limiting factor for a complete production shift to organic, but she feels that changes to growing patterns and reducing waste is important. That connects with the solution that many entities are preaching. If “sustainability” is the industry’s major buzzword, then “diversification” can’t be far behind. 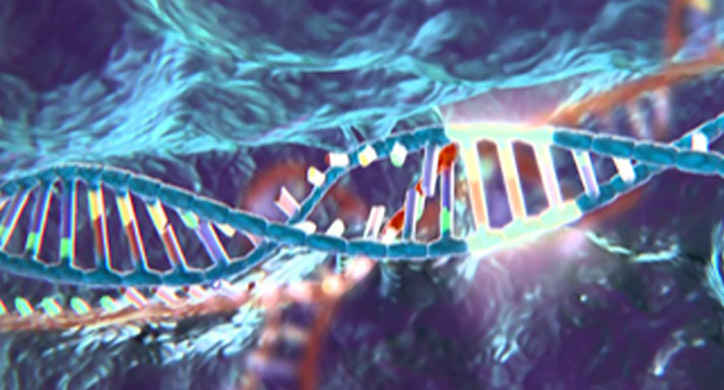 That can be seen in crop selection and rotation, as well as in what particular plant genetics are chosen. While “big ag” is seen as relying on thousands upon thousands of acres of corn crops in the Midwest, the investment being made in small growers can’t be overlooked either, not in a world in which these smaller growers account for about 70 percent of food produced globally. “It’s amazing how many operations there are like that in the world,” Wheeler said. 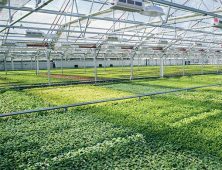 And in the same way that there is a growing industry push toward acceptance of multiple types of production — whether conventional, organic or even vertical and hydroponic — there are efforts to showcase small-grower inclusivity, too. The table is big enough for all farmers to come together and find the best path forward. The challenge is making sure that there are enough labor and financial and environmental resources to have that table properly stocked three decades from now.